Australia has a vibrant urban art scene that is driven by a number of internationally celebrated artists. One of the most influential contemporary artists hailing from the Oceanian country is Anthony Lister. He has gained a great critical acclaim for his outstanding pop-surrealist graffiti, paintings, and installations that embody a fusion of highbrow and lowbrow culture. Lister’s rich imagination translates into a practically endless diversity of genres and styles, most importantly a form of sophisticated figuration and street art. Having created his own world inhabited by misguiding superheroes, masterful vamps, and alluring ballet dancers, the artist made quite a name for himself in the international artistic circles. Born in 1979 in Brisbane, Anthony Lister attended Queensland College of Art in the capital of Queensland, where he obtained his Bachelor of Fine Arts in 2001. Shortly after, he traveled to New York, USA, where he got an apprenticeship under Max Gimblett, the reputable artist from New Zealand. In addition to completing the mentorship with Gimblett in New York in 2002, he underwent a residency at Blender Studio, Melbourne, in 2004. Among his most notable achievements, Lister helped pioneer the stencil and street art movement in Brisbane. His first teacher and the person who introduced him to painting was his late grandmother who showed him the works of Australian painters Arthur Streeton and Brett Whitely. Aged 17, the young artist started doing pictures in the public and signing “Lister” all around his native town. Affected by numerous areas and genres, such as Urban and Pop Art, contemporary youth culture (which frequently comes from television and the “misguided role models”), and expressionism, Lister’s works offer a messy mixture of high and lowbrow culture. Celebrating the essence of Western popular culture, and everything it has yielded, Lister reshapes this joint legacy into something that has the same seductive power and absurdity, thus perfectly representing his quest to describe the society. Over the years, he has developed a scratchy, scrawling, expressive form of deeply seductive figurative style. He employs a wide range of media, spanning from installation, painting and drawing to music and film. 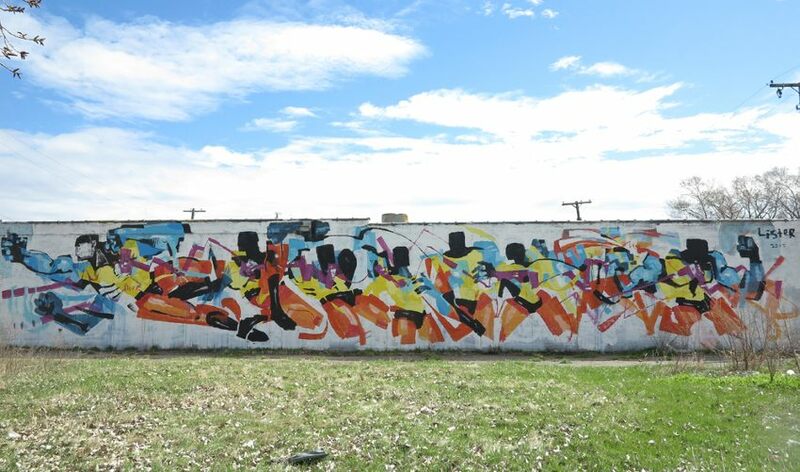 A true innovator, he successfully finds a way to merge the influence of rough and dirty techniques and practices of “bad” painting with the tone of graffiti. Drawing inspiration from his surroundings, Lister’s work is a parody of a modern society. His influences are very varied and include graffiti, stenciling, installations, comic book imagery, cartoons and his recollections of childhood. The way Lister sees it, art goes hand in hand with social meaning – they are inseparable. His imagery can be read as having a political and social message that engages with good versus evil, right versus wrong. Characterized by subject matter painted on large areas of monochromatic ground, Lister’s oeuvre reveals the particular tension between figuration and abstraction, which is most obvious in his series of superheroes and villains. With his humorous representation of fictional subjects in the real world, Lister exposes our false sense of security, depicting the issues that our generations deal with. 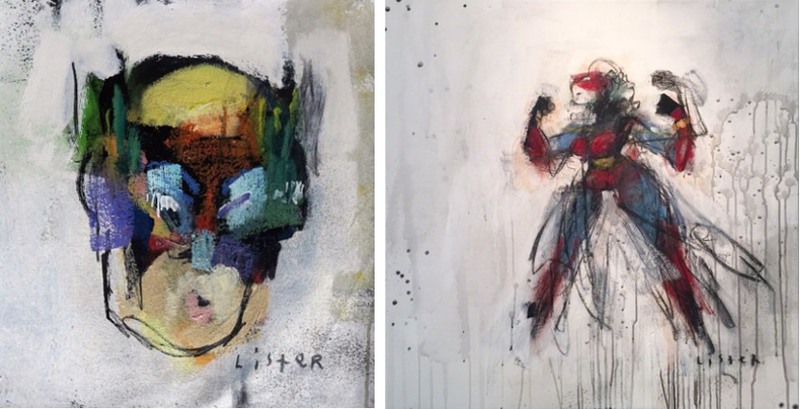 Using charcoal, acrylic, spray paint and oils, Lister creates canvases that depict his misguiding superheroes in a sophisticated form. He employs the rare gray shades of neutral buffing paste used to delete graffiti by local authorities to move away from traditional still life and challenge the way we interpret art, as well as the way we see people. The artist uses comic book imagery for his own means, redirecting popular culture for his personal expression. Heroes and villains are taken out of the panel and placed in a new universe devoid of the usual storyline, dialogue, and scenery. His paintings are not controlled by cartoon contexts. This “adventure painter”, as he likes to call himself, combines superior technical execution of old masters with the free-hand spontaneity of his graffiti background. The results are dark undertones that cloud Lister’s marvelous subjects, constructed from a harmony of daring brush strokes and a bold color palette. Using his mixed media technique, Lister brings his ominous characters to life within each artwork. The prominent artist has participated in numerous individual and collective exhibitions held all over the United States, Europe, the United Kingdom, and his native country. In a career that spans two decades, he has become one of the most prominent driving forces in the Australia’s street art scene. Reputed for his breathtaking, thought-provoking works of a unique sensibility, Anthony Lister continues to surprise with his captivating graffiti, paintings, and installations. 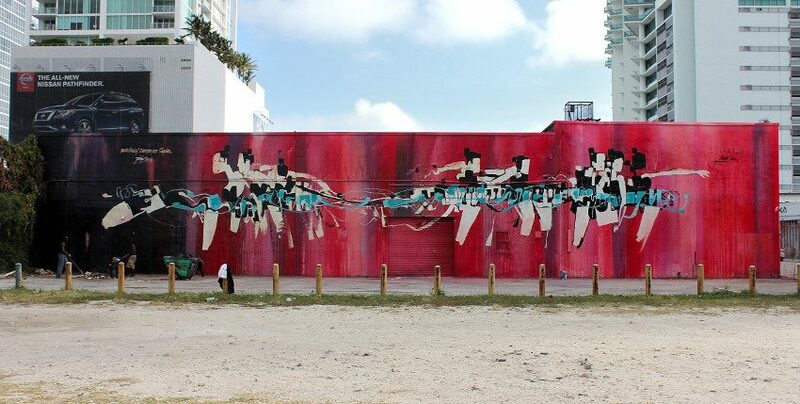 The artist is represented by Hang-Up Gallery in London, Lazarides in London, and Robert Fontaine Gallery in Miami. Anthony Lister lives and works in Sydney, Australia.